Spectacular ring sterling silver of 925/000 milessimas. Natural stone semi-precious cut navette cabujon only, measures: length 34 mm x 18.5 mm wide. 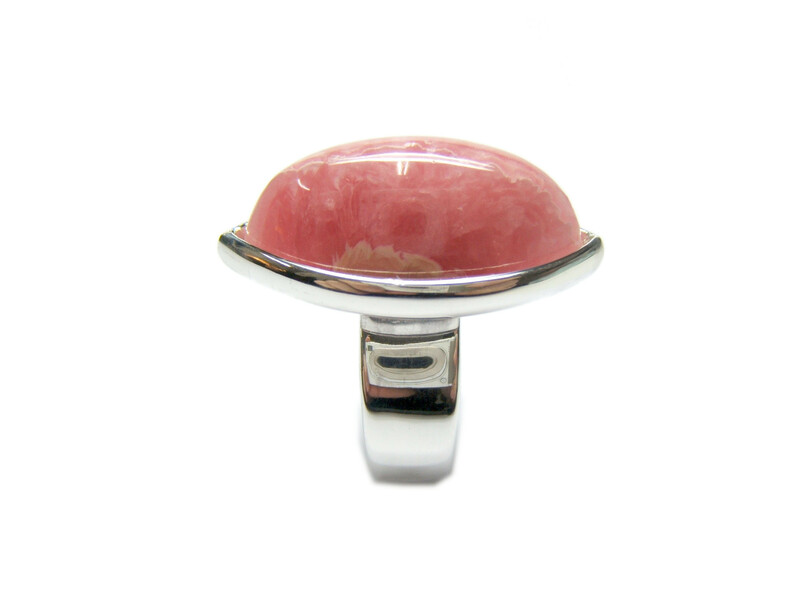 It is a carbonate of manganese called 'Rhodochrosite'. Measure n� 14 tatum, but having the arm opening is a ring-accurate multi-measurement. Weight of the silver, 21.- grams.Total weight of the ring 27.- grams.